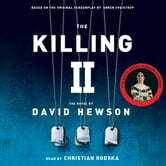 David Hewson's The Killing 2 is the novelization of the second series of the hit Danish crime drama, The Killing. It is two years since the notorious Nanna Birk Larsen case. Two years since Detective Sarah Lund left Copenhagen in disgrace for a remote outpost in northern Denmark. 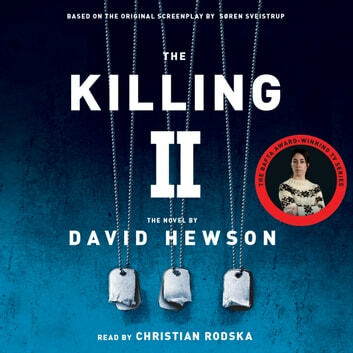 When the body of a female lawyer is found in macabre circumstances in a military graveyard, there are elements of the crime scene that take Head of Homicide, Lennart Brix, back to an occupied wartime Denmark – a time its countrymen would wish to forget. Brix knows that Lund is the one person he can rely on to discover the truth. Reluctantly she returns to Copenhagen and becomes intrigued with the facts surrounding the case. As more bodies are found, Lund comes to see a pattern and she realizes that the identity of the killer will be known once the truth behind a more recent wartime mission is finally revealed . . .